→Thumb Release vs Trigger Release: What is the Best Release and Why? Thumb Release vs Trigger Release: Which One is Better? When you shoot with a trigger release, you need to manually click the trigger in order to make a shot. Let’s say you spot a buck from 40 yards. You need to aim your bow, center the pin on your target, and then move your index finger to release the arrow. Some bowhunters experience target panic because of this. This is when you panic before you make the shot, which may make you accidentally press the trigger prematurely or subconsciously adjust your angle right before pressing it. When you use a thumb release, you don’t need to press the trigger. Instead, you have to slowly adjust your angle, pull the bowstring until your thumb presses against the trigger, and wait for the release to fire off your arrow. Because you don’t know when the arrow will fly off, you won’t be able to anticipate it. This is called a surprise shot, which literally means you will be surprised when the bow releases and your body will react instinctively to it - and increase your chances of making a successful shot. 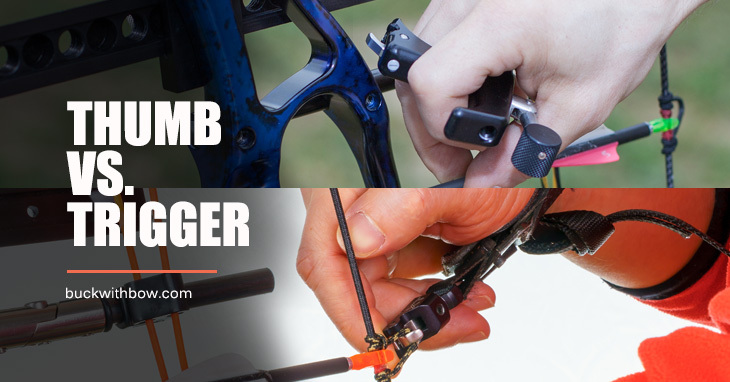 Many new bowhunters like to start off with a trigger release because they find it easier to use. There is also less chance of losing it because it’s attached to your wrist with a strap. Many good trigger releases now come with a foldback feature, so you can easily get it out of the way when it’s not in use. Thumb releases may take a bit more time getting used to, especially if you’re used to using your index finger to set off your arrows. They may also be prone to misplacement because they don’t have a strap, though some models have added a lanyard or cord to their design. Generally, trigger releases are more affordable than thumb releases. This may actually be a big factor when deciding which bow release to purchase. My advice is to have a set budget for your accessories, and then use that as a guideline when choosing from several brands. How Do You Use a Thumb Release? To use a thumb release, place your index to pinky fingers in the finger grooves and adjust them until you have a comfortable grip. Then place your thumb behind the trigger and slowly draw the bowstring until you reach your anchor point. Once you reach your anchor, carefully wrap your thumb around the trigger. Hold the bow steady, tighten your back, and slowly pull until the caliper jaws release the d-loop and let the arrow fly. Avoid squeezing your thumb against the trigger. Instead, slowly adjust your angle until you get your surprise shot. How Do You Use a Trigger Release? To use a trigger release, wrap the strap around your wrist and hold the release so that your index finger is positioned in front of the trigger while the rest of your fingers are behind it. Don’t pull the trigger until you’ve drawn your bowstring! 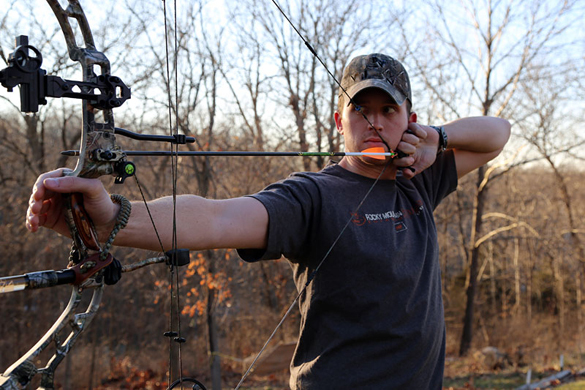 Many bowhunters make the mistake of punching the trigger, which means they center on the target and then quickly press the trigger. This decreases the accuracy of the shot so I highly advise against it. Instead, hold your bow steady and carefully pull your index finger backward until it presses against the trigger. This improves the chances of a surprise shot and may lessen the chances of target panic. 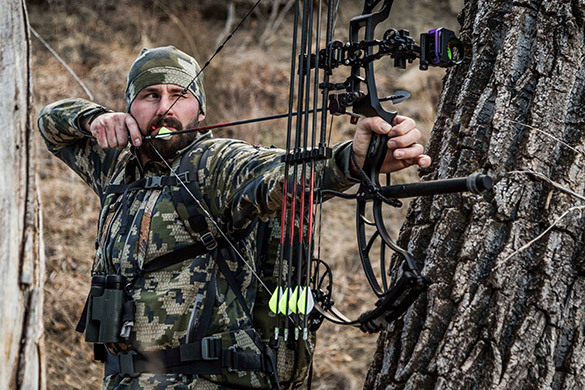 Choosing the right bow release may help improve your hunting experience. Remember to consider your susceptibility to target panic and your desire for convenience before making a purchase. Price may also help you decide which release to buy. However, I personally think that the cost of the release shouldn’t be a hindrance for getting a model that is of good quality. Do you have any comments? Please drop a line below. I’d like to hear from you!